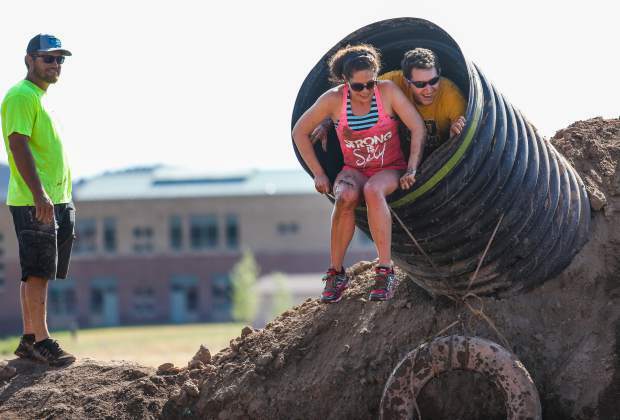 Jacob and Katie Rivera check out the drop during the annual Mud Run on Saturday, July 14, in Gypsum. Participants had to crawl up the tube and jump into a muddy pool. 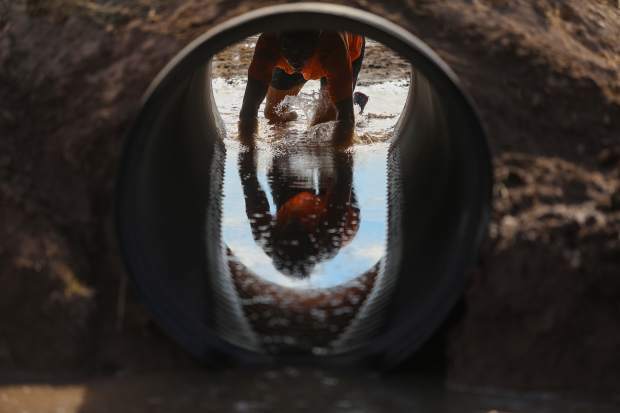 Sheldon Kuhns makes his way through a mud bath, which also has ice in it, during the annual Mud Run Saturday, July 14, in Gypsum. Obstacles varied in the nearly one-mile course. 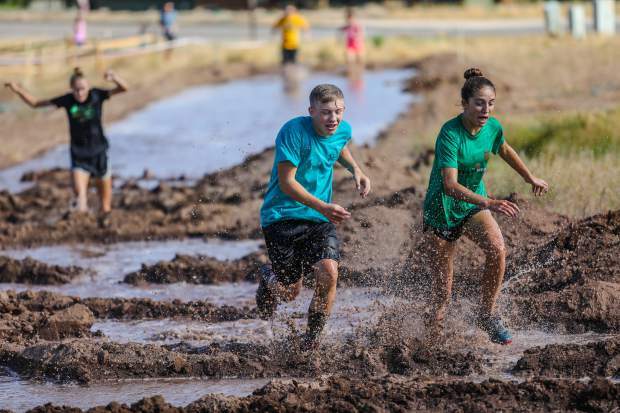 Charlie Callis and Samantha Blair run through, well, mud during the 5th annual Mud Run as part of the Gypsum Race Series on Saturday, July 14, at Gypsum Middle School in Gypsum. Participants who completed the most laps won prices at the Gypsum Recreation Center. Melinda Brandt emerges from her muddy bath after plunging from a tube during the Mud Run on Saturday, July 14, in Gypsum. The course was at Gypsum Middle School. 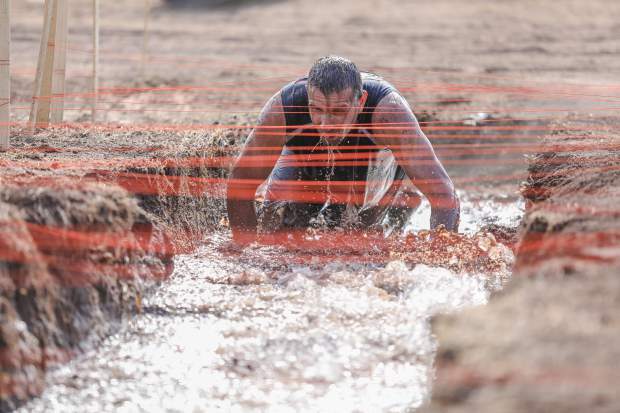 Zac Johnston of Eagle makes his way through and obstacle during the Mud Run on Saturday, July 14, in Gypsum. Johnston was in contention for most laps completed. 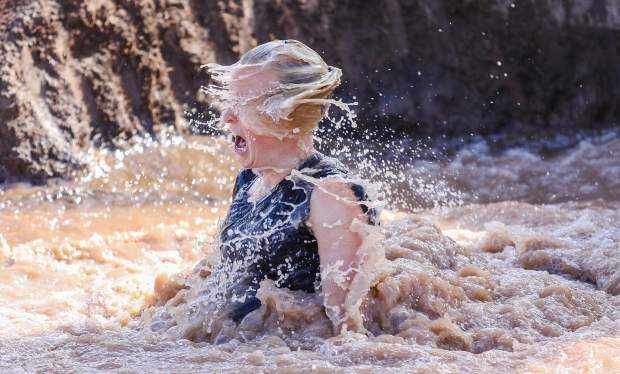 The Gypsum Race Series took a dirty turn on Saturday, July 14, as participants competed in the fifth annual Mud Run at Gypsum Middle School.